I’ve just finished re-reading ‘The Grapes of Wrath’ by American novelist John Steinbeck. Steinbeck won the Nobel Prize for Literature in 1962, in large part for that very book. There was some controversy at the time, and even the Nobel committee implied that he had won by default, for want of other shining literary talent that year. The writer himself was reportedly surprised, as well he might have been. He had previously been nominated eight times, without carrying off the prize. Wikipedia lists 29 books in Steinbeck’s bibliography, five of them published posthumously. Twenty-one of the others are fiction, of which fourteen were written before 1950. His first ten books were all fiction and published before the USA entered the Second World War. ‘The Grapes of Wrath’, reportedly the main reason for the Nobel award, appeared in 1939 – 23 years previously. Selling 439,000 copes in the first year alone, the novel has long since become an American classic with total sales exceeding fifteen million, and still averaging 100 thousand a year – not bad for a seventy year-old, 400-page novel that is by no means an easy read. Seventeen films have been based on his books, including three remakes of ‘Of Mice and Men’, one of them a Turkish version (‘İkimize Bir Dünya’, 1962). On the face of it, the author’s record seems to justify serious literary recognition. So why, you might wonder, did it take so long for the Nobel Prize to come his way? Why was he overlooked in the years when even his harshest critics accept he was at this best? And why are those harsh critics, mostly American themselves, so vituperative in their condemnation. Robert Gottlieb, again in the NY Times asked in 2008 why ‘if all of Steinbeck is in print forty years after his death (in 1968), and despite the force-feeding of hundreds of thousands of school kids with his work—and official canonization by the Library of America—. . . is he so decisively off the literary map?’ Gottlieb uses phrases like ‘disaffected adolescent’ and ‘callow cynicism’ – accusing Steinbeck of being ‘not really a revolutionary’ because he didn’t join the (Communist) Party. It is clear that there were many in the United States who would have been happy to label Steinbeck a Communist. His son Thomas apparently believed that J Edgar Hoover, director of the FBI, investigated his father and encouraged the Inland Revenue Service to harass him every year – but not being a card-carrying Communist should not disqualify a man from criticizing the status quo and championing the common folk. Evidently common folk found something to relate to in Steinbeck’s novels – even if those cartographers of the ‘literary map’ could not. As a young would-be intellectual, I did my best to wade through the mire of James Joyce’s works – which occupy a major landmass on that literary map. I remember when ‘Ulysses’ was un-banned and I rushed to buy the Penguin paperback. After several false starts, I eventually gave up and flipped over to the last chapter – the reason for the book’s banning. Whatever the NY Times literati think, I’m with Paul Coelho. I found Joyce overrated, pretentious and virtually unreadable. And by the 1970s, that last chapter had become little more than a dated curiosity. Steinbeck, on the other hand, especially in ‘Grapes of Wrath’, focused on a terrible social tragedy, the forced migration of an estimated 3.5 million people from the Great Plains states of the United States between 1930 and 1945. 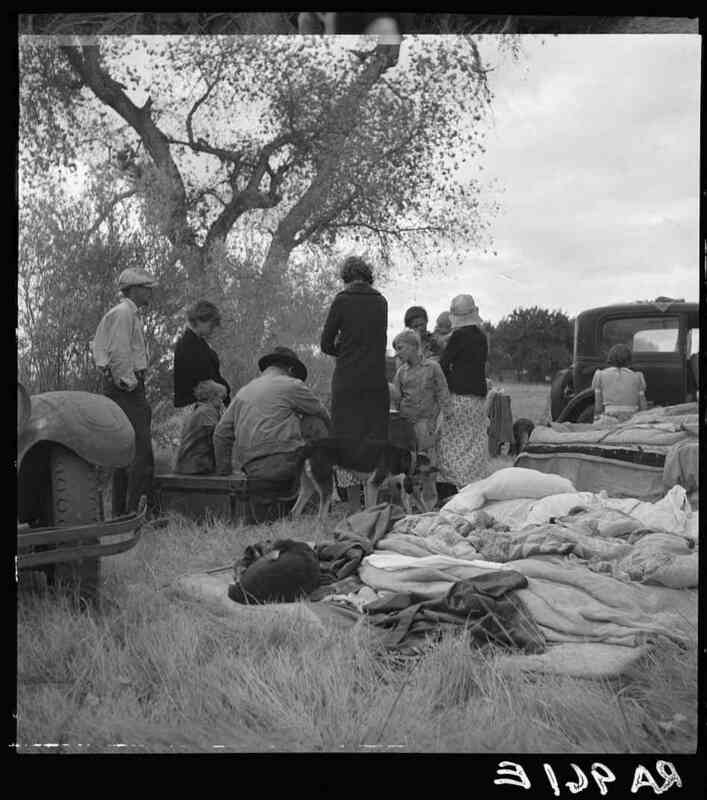 ‘The Dust Bowl’, as it is often called, was only part of the much larger worldwide tragedy of the Great Depression. Steinbeck railed against a system which forced people to abandon homes and possessions, to starve and watch their children die while edible produce was destroyed to keep market prices high; hundreds of thousands of men, able and willing to work, unable to find employment because of a man-made economic system gone monstrously wrong. An objective assessment of the novel might suggest that this is the real motive behind those who belittled Steinbeck’s literary achievement, denounced him as a liar and tried to silence him with political persecution. Truth hurts, more so when it is widely disseminated to popular acclaim. In its day, ‘The Grapes of Wrath’ was banned and publicly burned in some US states. It took a quarter of a century before the economic elite felt safe enough to acknowledge Steinbeck’s talent – and even then the resentment lingered. In fact, however, the financial establishment had no real need to fear. Steinbeck took the title of his greatest novel from ‘The Battle Hymn of the Republic’, itself a reference to a biblical passage in the Book of Revelation. God in His Heaven sees the injustices inflicted on the poor and helpless, and is preparing His Divine Retribution. Well, the author of that glorious hymn, Julia Ward Howe, probably knew that vengeance would not take place on Earth. Those ‘greedy bastards’ could repent on their deathbeds and hope to meet their maker with a clean slate. Steinbeck, however, seems to have believed, at least in the 1930s, that the downtrodden masses would rise up and seize their birthright from the ‘one percent’ who had stolen it. Sad to say, that ‘terrible swift sword’ rarely strikes where it should this side of Judgment Day, and there’s another vintage being trampled in the border towns and urban centres of Turkey at this very moment. Camps set up by the Turkish Government have long since filled to capacity, and refugees from the war in Syria continue pouring into a country struggling to house, employ, care for and educate its own citizens. Families of impoverished Syrians are now a common sight on the streets of Istanbul, more than 1100 kilometres by road from the Syrian border. How they make the journey is anyone’s guess, but the one sure thing is that more will arrive. 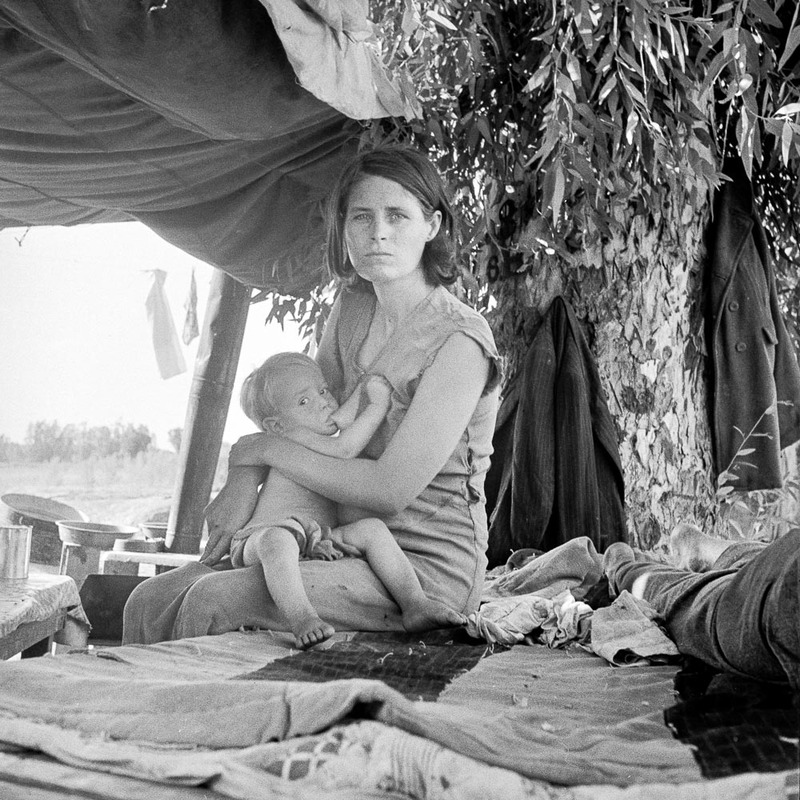 Like Steinbeck’s Dust Bowl migrants, they are desperate to feed their children. Few adults would choose begging as a way of life, but the city’s indigent street-dwellers now have serious competition from the new arrivals. The Joads and their fellow ‘Okies’ may have faced prejudice for their poverty and outlandish accents – but at least they were English-speakers in an English-speaking country. Arabic-speaking Syrians are obliged to use crude hand-written placards and sign language to explain their plight to passers-by on the streets of Istanbul. This huge metropolis is currently in a major process of urban renewal. Few districts are untouched by the frenzy of demolition and reconstruction. Especially hard-hit are those shantytowns swallowed by urban spread and now occupying land too valuable to allow continued occupation by ‘gecekondu’ shacks. One such is the district of Fikirtepe, close to the commercial and transport hub of Kadıköy on the Asian shore at the mouth of the Bosporus. Houses abandoned by former owners and residents, with electricity, gas and water shut off, are now being reoccupied by Syrian squatters. Just as in Depression days California, impatience, resentment, even anger against the new arrivals are emerging amongst Turkey’s citizenry. 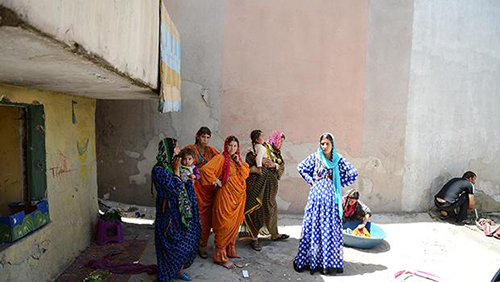 Romani residents, traditionally occupying the lower-rungs of the socio-economic ladder, are finding their habitual niches invaded. Neighbours of areas occupied by squatters fear the threat of disease communicated by people living in unsanitary conditions. The middle-classes are unsettled by the appearance of so many new beggars on their streets, and are concerned about the likelihood of increasing theft and burglary. Just the other day I was walking through the market area of Üsküdar. Ahead of me a young woman was pushing a small child in a stroller. The child had one leg in a plaster cast. A young vendor was addressing the woman in a loud voice: ‘Police,’ he was saying. ‘Passport. Police. Passport, passport!’ Perhaps for him it was just a joke – but many a true word is spoken in jest, if, indeed that’s what it was. The latest issue seems to be the entry of able-bodied Syrians into the workforce. Again, like the dispossessed migrants in ‘Grapes of Wrath’, Turkey’s new poor will take employment where they can find it, at whatever wages the market is prepared to pay. Unscrupulous employers see a supply of labour only too willing to work for less than normal rates. A further advantage of employing such workers is not having to pay income tax and social security on their behalf. Persuasive arguments are being put forward for employing Arabic-speaking Syrians in the tourism and hospitality sector where visitors from other Arab countries are becoming more numerous. The government is threatening action against dishonest employers, but the issue is a symptom of a much larger problem. Turkey is not alone in having to deal with the social and economic effects of a humanitarian disaster not of its making, and beyond its control. In the mean time, politicians in Western nations continue to prattle about hopes for peace in the Middle East, and seek votes with scare-mongering talk of Islamic terrorism. ‘Literature,’ he said, ‘was not promulgated by a pale and emasculated critical priesthood singing their litanies in empty churches – nor is it a game for the cloistered elect, the tinhorn mendicants of low calorie despair. A more mettlesome Nobel committee might have recognized twenty years earlier Steinbeck’s achievement in doing this – or at least praised his courage in their belated award. This entry was posted in Social comment and tagged human rights, John Steinbeck, Syrian refugees, The Grapes of Wrath. Bookmark the permalink. As presumably Sunnis, the refugee Syrians will at least be in religious step with the Turks. Rog. Interesting point, Rog. That hadn’t occurred to me. For sure they’re going to need all the help they can get. Good connection between Grapes of Wrath and the Syrian refugees. Desperate people everywhere these days. Solutions wanting. Greed, the eternal problem. Thanks Margie. That one word GREED pretty much sums it up. I’ll bet it’s a long list, and probably not such a long summer holiday – but the The G of W is definitely worth revisiting.